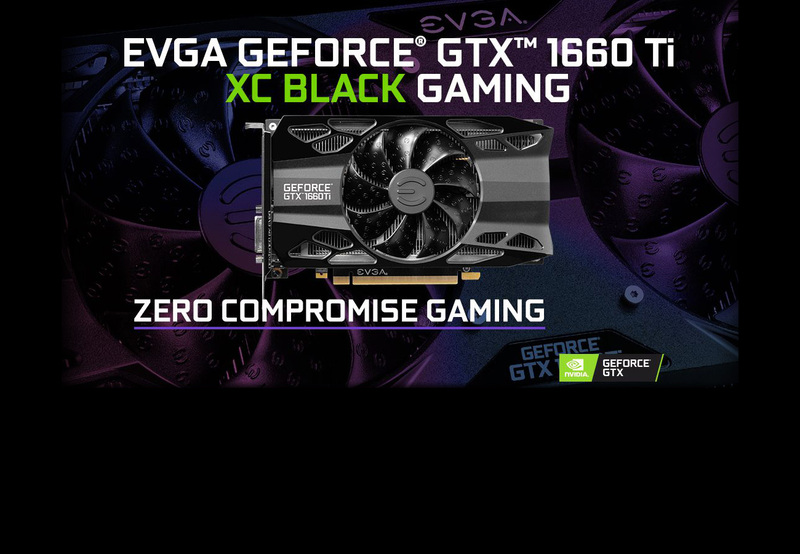 In collaboration with NVIDIA, EVGA has released the GeForce GTX 1660 Ti XC BLACK GAMING graphics card to provide mid- to entry-level DIY enthusiasts an affordable powerhouse graphics solution that's comparable to a 2070 graphics card. 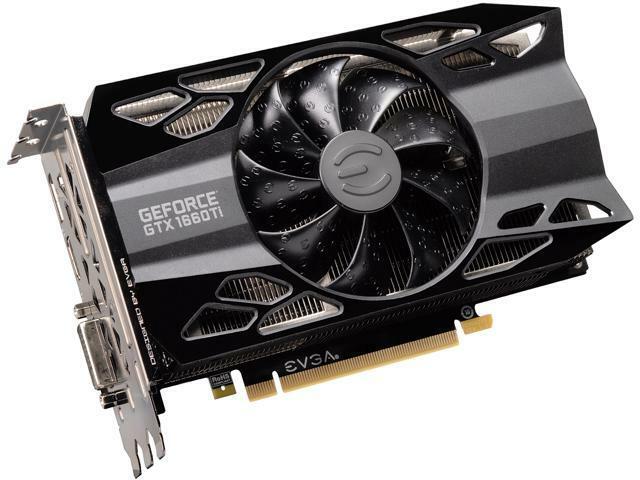 With 6GB of the latest GDDR6 video memory, the EVGA GeForce GTX 1660 Ti provides far more performance efficiency than anyone could guess just by looking at its 190mm-length small form factor. Each of these cards is ready to handle the latest games and graphics-intensive programs. Additionally, these cards are at the forefront of innovative video technology by supporting a max-resolution of 7680x4320, otherwise known as 8K. 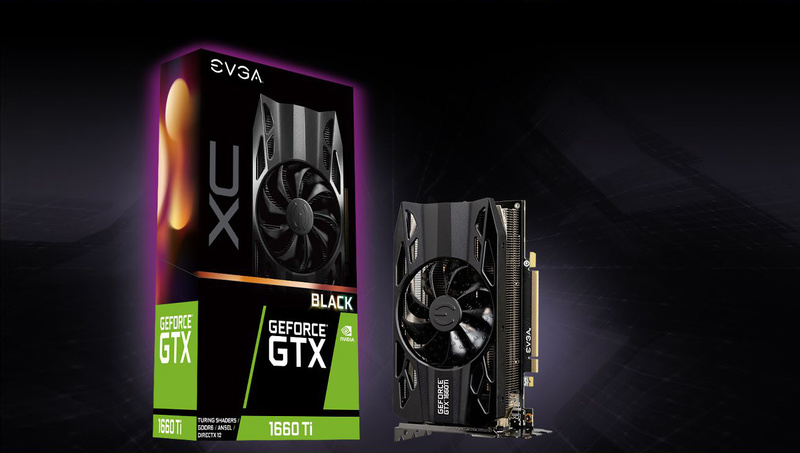 The EVGA GeForce® GTX™ 1660 Ti graphics cards are powered by the all-new NVIDIA Turing™ architecture to give you incredible new levels of gaming realism, speed, power efficiency and immersion. 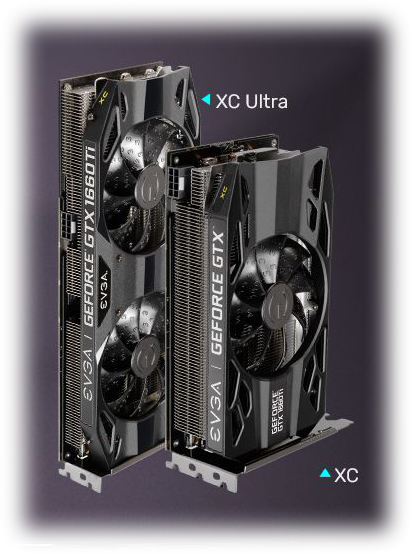 With the EVGA GeForce® GTX™ 1660 Ti graphics cards you get the best gaming experience with next-generation graphics performance, ice-cold cooling and advanced overclocking features with the all-new EVGA Precision X1 software. The first HDB fan on an EVGA graphics card optimizes airflow, increases cooling performance, and reduces fan noise by 15% compared to the more commonly-used, sleeve-bearing fans on graphics cards. The special upraised "E" pattern on the enlarged fan allows a further reduction in noise level by 4%. EVGA GeForce® GTX™ 1660 Ti graphics cards offer you more ways to keep your system cool than ever before. Offering a variety of fan choices, heat sink sizes and cooling technologies, you can select the card that perfectly fits your system. 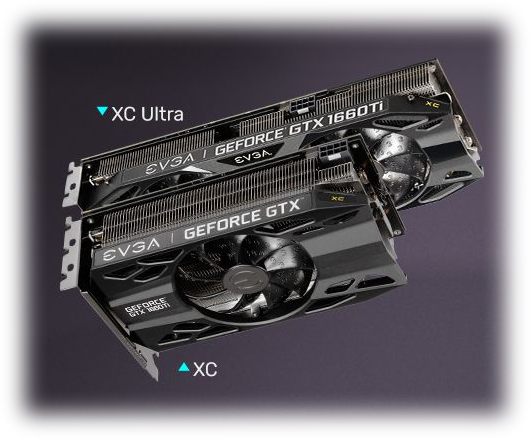 EVGA GeForce® GTX™ 1660 Ti 2-slot cards are longer but allow for better airflow at slower speeds with two fans. Utilizing a smaller fan hub, these fans feature a longer blade to increase airflow while remaining quiet. Need more horizontal space? EVGA GeForce® GTX™ 1660 Ti 2.75-slot cards give you more front-to-back space without sacrificing cooling performance or acoustic noise. To enhance the cooling using a single fan, these cards come with a taller fan hub that was specifically designed for the thicker heat sink to apply more force while keeping a lower noise profile. Pros: I would like to start out by stating that I am not a fan of EVGA in any way, that being said, this is an amazing card. I had very limited space for height and length, and every other card broke either the height or the length. Even with this card, it is right there near the power supply (front mounted PSU), and the side panel presses against the PCIe power connector, which I'm slightly worried about, but EVGA makes a right angle connector which I will more than likely invest into. Cons: This is a triple slot, I knew this when I purchased it, but seems a little beefier than it could be, covering an x1 slot I wish I could use. Other Thoughts: I would have definitely gone with asus to match my board, but the asus cards broke the height requirement, would not have been able to put the side panel on. Pros: -Solid so far, bought on release. -The upgrade level I was looking for at the price I was looking for. Pros: Works good so far . This is advertised with a boost clock of 1770MHz. It appears as if it is actually 1875MHz . No complaints there. Packaging was good too. Cons: The new X1 software isn't exactly great. Liked the precision X better. That's just a personal preference. The process to get the free game is ridiculous. Other Thoughts: This card is huge. Not a con but make sure you measure your case. Its about 3 bays thick. Excellent price for what you get !!! Make sure you have plenty of clearance inside the case ... it's a very fat card !! Other Thoughts: I have recommended this specific card to all of my friends ... Awesome card and def worth the money !! Other Thoughts: I went with this model over the other base models due to its 130 watt limit and compact size. Cons: - GPU got up to 75 C after only 20 minutes of gameplay. Other Thoughts: While these issues may only exist because of my case, my 1060 still managed to run much quieter and cooler. Make sure to measure your case. I regret not getting a longer 2 fan card. I would like to thank you for your feedback about your EVGA GTX 1660Ti graphics card. If you have not done so I would suggest download our PrecisionX1 software that will allow you to adjust your fan speeds. Should you or any potential EVGA customer ever have any questions or concerns with any EVGA product, then I would encourage you to contact our 24 hour Presales Support team by phone 1.888.881.3842 and pressing option 3 or by email: Newegg@EVGA.com so that we can further assist you.